SRL Diagnostics on Monday announced the launch of new lab test ST2 to help predict risks of coronary heart disease by finding a specific biomarker in the bloodstream. SRL claims to be the first diagnostic lab in India to have launched this key medical test, available across India at all Fortis Labs, SRL Diagnostics Labs and its collection centres. Recent evidence has reported the incidence of cardiovascular disease (CVD) to be 40 to 50 per cent higher in Asian Indians than individuals of other ethnic origins. In addition, some 30 to 40 per cent of cardiovascular deaths occur between 35 and 64 years of age. 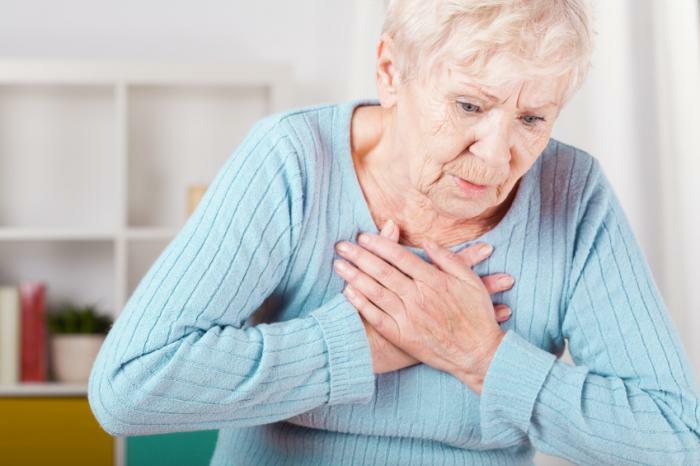 The prevalence of heart failure in India due to coronary heart disease, hypertension, obesity, diabetes and rheumatic heart disease ranges from 1.3 million to 4.6 million, with an annual incidence of 4,91,600–1.8 million, according to a statement by SRL. “ST2 is ELISA based test which is a US FDA approved technology and was included in 2013 ACC/AHA Guidelines for The Management of Heart Failure. It has been extensively evaluated with more than 100 peer-reviewed articles and scientific posters studying more than 35,000 patients. 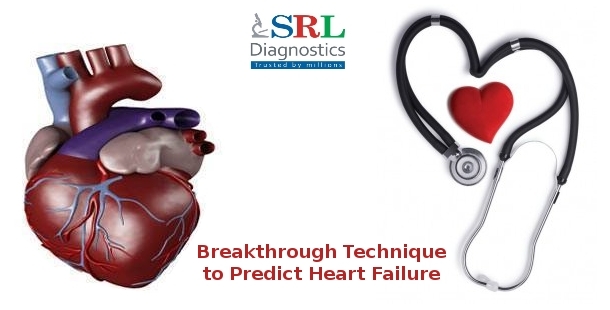 So far, SRL Diagnostics has collected 100 samples for predicting the heart failure,” Dr Das added. The American College of Cardiology Foundation / American Heart Association Task Force jointly released its expanded clinical practice guideline for the management of patients with heart failure and has identified ST2 “not only predictive of hospitalization and death in patients with HF [heart failure] but also additive to natriuretic peptide levels in its prognostic value. Traffic air pollution has been linked to poor health in the past – with wheezing, coughing, and watery eyes just the tip of the iceberg. Later studies have also established a relationship between pollution and a host of heart problems, including left ventricular hypertrophy and heart failure, among others. However, a new study, from the University of Washington’s Medical Center in Seattle, has now found that air pollution emitted from traffic sources also changes the structure of the heart’s right ventricle – further increasing the risk of heart failure for residents’ of pollution-dense areas. The study observed the health patterns of 3,896 individuals who participated in the Multi-Ethnic Study of Atherosclerosis, each of whom had no prior history of cardiac disruption or disease. All of the test subjects had previously undertaken magnetic resonance imaging (MRI) scans, with authors observing their levels of exposure to pollutant nitrogen oxide in the year leading up to the scan. On average, the study found that a higher incidence of exposure to nitrogen oxide coincided with a five percent increase (around one gram) in right ventricular mass and a three percent increase (4.1 mL) in right ventricular end-diastolic volume. The researchers combed through a range of differentiating factors that could have skewed the data before confirming their findings, including variations in lung disease, socioeconomic standing, inflammation, and left ventricular mass and volume. It should be noted, however, that while increased exposure to nitrogen oxide led to a notable change in the heart’s structure, the findings have not definitively been linked to traffic air pollution. However, the researchers are confident that these recent findings are aligned with previous studies on the matter, and serve to strengthen beliefs that traffic air pollution is detrimental to cardiovascular health. A patient with terminal heart failure is in “satisfactory condition” two months after becoming the first person to be fitted with Carmat’s artificial heart which is designed to beat for several years, his hospital said. The 76-year-old man is eating normally, no longer needs constant respiratory assistance and is able to walk a little further every day thanks to physical therapy, the Georges Pompidou European Hospital in Paris said in a statement on Tuesday. “The Carmat bioprosthesis continues to function satisfactorily, without any anti-clotting treatment since January 10,” said the hospital, where the implant surgery was performed on December 18 and where the patient is being treated. It praised the patient’s “exemplary courage, sense of humour and family support” for playing a role in his recovery. Heart-assistance devices have been used for decades as a temporary solution for patients awaiting transplants, but Carmat’s product is designed to replace the real heart over the long term, mimicking nature using biological materials and sensors. It aims to extend life for thousands of patients who die each year while awaiting a donor, while reducing the side-effects that can be associated with transplants, such as blood clots and rejection. Three more patients in France are due to be fitted with Carmat’s device. The people selected in this first series of clinical studies suffer from terminal heart failure – when the sick heart can no longer pump enough blood to sustain the body – and would otherwise have only a few days or weeks to live. Success will be judged on whether the patients survive with the implant for at least a month. If deemed safe, the device will then be fitted into about 20 lower-risk patients. A spokeswoman for Carmat declined to say when the other three patients in the first round of tests would be fitted with its artificial heart. 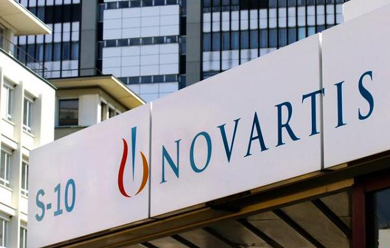 Chief Executive Marcello Conviti told Reuters in November that Carmat hoped to finish human trials of the heart by the end of 2014 and to obtain approval to market them in the European Union by early 2015. Among its competitors for artificial heart implants are privately-held SynCardia Systems and Abiomed, both of the United States. St Jude Medical Inc, a global medical device company, today announced the launch of next generation pacemaker in India. The NYSE-listed firm announced the first commercial implant of `Allure Quadra’, a cardiac resynchronisation therapy pacemaker (CRT-P), in the country. The first-to-market quadripolar pacemaker system offers more pacing options for patients with heart failure (HF), a company release said here. Quadripolar leads allow for increased implant efficiencies, which clinical data indicates can result in fewer surgical revisions. Broad clinical evidence on the advantages of the quadripolar technology has been documented in more than 100 publications worldwide, it said. Explaining how this new technology works, Anil Saxena of Fortis Escorts Hospital, said: “Historically, pacing systems that treat heart failure included a lead with only one electrode in the heart. Later, these were replaced by leads with two electrodes. The new technology has four electrodes and 10 programmable pacing configurations, allowing electro-physiologists to manage their patients with greater flexibility and improved patient outcomes, Saxena said. The worldwide prevalence of heart failure has been rising over the last few decades. More than 26 million people globally suffer from HF, with a prevalence rate in India estimated to range from 1.3 to 4.6 million people.